Section revamped and new page added - The Pins & Badges page has been split into 2 levels. Under it is now a second page for Special Purpose Pins & Badges. The first of these comes to us from Friend of Gastorical Al Russell who has provide us with many more items and a wealth of company historical information as well. More to come from this collection. New content posted - Added a new edition of the Gas News for download. This particular one is from June-July 1942 and comes to us from friend of Gastorical Greg Knight via my old friend and Gastorical advocate James Ruiz. Another completely new section added - This section deals with Consolidations & Mergers in our family of companies. The first content is a history lesson on the North Coastal Division contained in the Regions & Divisions subsection. We have friend of Gastorical Lois Mark to thank for getting this section started. Lois has also shared a lot of other information that will begin to fill out these pages soon. This section will also be home to the years old image in the entry below. New content posted - Added an image of our family tree that I created years ago to display our complex company lineage on a page I have not created yet. This post comes to us from your tour guide here on Gastorical Agent E.F.L. Completely new section added - It's named Pins & Badges and will highlight these historical beauties produced over time. We have friend of Gastorical Keith Kalm to thank for getting this page started as the first two badges displayed are versions of ones he sent in for us to see. Both are employee ID badges from a 20's & 30's. Many more are on the way! New content posted - Added 2 new photos to the Southern California Gas Company page in the Lest We Forget section. Thanks go out to friend of Gastorical Ron Belcher for these shots of The Gas Company in action during the 1971 San Fernando "Also known as Sylmar" earthquake. New content posted - Added new Photo that shows some of the aftermath from the 1933 Long Beach Earthquake to the San Pedro Base page in The Gas House section. Thanks to friend of Gastorical Les Sullivan for uploading this shot of the Southern Counties Gas - San Pedro Payment office. We don't know the exact location of this office but the street sign clearly says Center Street and it appears to be South. New content posted - Added new group shot circa 1966 to the Playa Del Rey facility page in The Gas House section of the site. This and the last two postings below come from content provided by Phil Wesson from a pipeline tour package. The tour started at the Playa Del Rey Compressor Station, flew over the route of the Needles pipeline and ended at the Needles Compressor Station with a little detour to the metering station of El Paso Gas. New content posted - Added Pacific Lighting system map and associated directory to the Pacific Lighting Corporation page in the Lest We Forget section. Thanks to friend of Gastorical Phil Wesson for these wonderfully informative pieces circa 1966. New page & content posted - "Needles Compressor Station" page installed in The Gas House section. Thanks goes out to Friend of Gastorical Phil Wesson for this map of the facility circa 1960 that got the page started. New content posted - Added a new service recognition dinner program to the Southern California Gas Company page in the Lest We Forget section. This 1967 program is from North East Division and comes to us from Friend of Gastorical John Hudson. This one has some very interesting names in in attendance including the longest living gas man in our history, Pat Tansay as well as my frend and historical mentor Sid Galley. Pat lived a vibrant 105 years and only passed a short time ago. New content posted - Added a new edition of the Pacific Lighting Pipeline publication for download in The Gas News Section of the site. This edition is from June 1971 and comes to us from friend of Gastorical Larkie Francis via James Ruiz. New content posted - Added new image to the Southern California Gas Company page in the Lest We Forget section. This comes to us from Friend of Gastorical Ricardo Piaz who is always on the lookout. This is from the 1933 Long Beach Earthquake but we don't know exactly where aside from in SCG territory as evidenced by our barricade over a spoil pile. New content posted - Added another new edition of Gas News for download. This time its November 1939 and also comes to us from friend of Gastorical Chuck Killen via James Ruiz who has been kind enough to scan all of these for us. There is one more 1939 edition to come from Chuck & Jim that I will have up on the site shortly. New content posted - Added a new edition of Gas News for download. This edition is from January 1939 and comes to us from friend of Gastorical Chuck Killen via James Ruiz. New content posted - Added a new edition of the LAG&E Service Review publication for download. This edition comes to us from my old friend Sid Galley's collection and is from January 1932. Very interesting articles in this edition about the earliest pipe locators "page 2" and very early use of a crude, hand operated boring machine "page 12". New content posted - Added 2 new images to the Southern California Gas Company page in the Lest We Forget section. First is CB Monson at his 1950's era CS Truck and second is a great shot of a 1949 Distribution crew truck diaplay. Completely new section added - Thanks to friend of Gastorical Gary Rohrer for bringing us the very first copies of Pacific Lighting Service & Supply Company's (PLSS) publication called Pipeline. This monthly publication is similar to Gas News but specific to Transmission & Storage Operations of the company. Pipeline will reside in The Gas News Section of the site. This first edition is from January of 1966. New content posted - New logo image for the "Yukon Base" page installed in The Gas House section. Thanks to friend of Gastorical Russ Karston sharing this fun Yukon Quality Circle "Gas Busters" logo from his dad Ray Karston who was one of my very first supervisors in the company at the Yukon Base where I hired on. New content posted - Thanks to friend of Gastorical Rich Gibson for sending us this Distribution group shot from the "Huntington Park Base" in 1990. I know a lot of these faces personally and have numerous friends from HP who can probably fill in the blanks. Stay tuned for a "two stage image" update on this one! New content posted - Added new Customer Services group shot from 1958 to the Alhambra Base page in the The Gas House section. Thanks again to my personal friend and Gastorical ambassador Eric Monson for this addition. Thanks also to the senior Monson "in front row of this shot" we know who all the guys are and were able to create a two stage image with those names embedded. New content posted - Added a new edition of Gas News for download. This edition is from March 1929 and comes to us from friend of Gastorical and major contributor Don Parnell. The beautiful center fold of this edition will be of special significance to our Customer Service Department. New content posted - "Glendale Base" page updated in The Gas House section. Thanks very much to Friend of Gastorical Mike Ciani for bringing us this GREAT group shot photo of the SoCalGas Doran Street Terminal in Glendale circa 1938. New content posted - Added new image of a Southern Counties Customer Service person and his truck circa 1930's to the Southern Counties Gas page in the Lest We Forget section. New page & content posted - "Belflower Base" page installed in The Gas House section. Thanks goes out to my old friend and major contributor to the site Bob Zaricor for this photo. New content posted - Added new image of a very rare check issued in 1880 and signed by none other than Charles Simpkins himself to the Los Angeles Gas page in the Lest We Forget section. Announcement - Gastorical's new home is at our Pico Rivera facility. At the beginning of the year I accepted an instructor position in the Distribution Training Department and as many of you probably already know we have lots of friends at Pico. I'm excited to be here and think this is a fitting place to be as we head for the companies 150th anniversary that is just around the next historical corner. New content posted - Added new images of a Southern Counties hat circa late 1950's to mid 1960's and its logo patch "not seen here before" to the Southern Counties Gas page in the Lest We Forget section. Many thanks go out to friends of Gastorical Tom Martin & Will Vigliotti for this new first on the site. New content posted - Added new image of a Distribution Crew Truck from the 1940's, ccomplete with original So Cal Gas logo on the bin door behind the air compressor to the Southern California Gas Company page in the Lest We Forget section. New page & content posted - "Hemet Base" page installed in The Gas House section. Thanks go out to friends of Gastorical Joe Doak & Eric Monson for this group shot from 1976 that gets the Hemet Base page started. New page & content posted - "Chino Base" page installed in The Gas House section. Many thanks to friend of Gastorical and major contributor Eric Monson for getting this base page on the Gastorical map "so to speak". Updated page content - Added 3 new related images to the Alhambra Base page in the The Gas House section. Thanks again to friend of Gastorical Carlos Sosa for completing this series of shots of the Alhambra base circa 1950's. These show the yard, including the incinerator and storeroom docks, including more giant tin meters. New content posted - Added a new image to the Marketing & Sales Department pages in The Gas House section. This time it's a wonderful group shot of the Domestic Sales Department in 1939. New content posted - Added a new image to the Alhambra Base page in the The Gas House section. Thanks to friend of Gastorical Carlos Sosa for this wonderful shot of the Alhambra storeroom circa 1950's. Kerosene lanterns, copper pipe and what appears to be rolls of tennite plastic can be seen in the back. More like this from Alhambra are on the way soon. New content posted - Added another image from June of 1961 to the Anaheim Base & HQ page in The Gas House section. This is the garage building and it's unchanged after all these years. Thanks again to friends of Gastorical Don Goldsberry and Eleanor Candler for sharing these. New content posted - Added new article to the Los Anageles Gas & Electric Company page in the Lest We Forget section. This This is an interesting article on the LAG&E Fire Department and is circa 1908. New content posted - "Huntington Park Base" page in The Gas House section is growing again! Thanks to friend of Gastorical Henry Ortiz for this Customer Service group shot from 1987. New content posted - Thanks to friend of Gastorical Kevin Quinn for sending us this view of new meter reader uniforms as seen in the early 1960's at the "Huntington Park Base". New content posted - Thanks once again to friend of Gastorical and major contributor Bob Zaricor for this image of the "Compton Base" Distribution department in 1947. Today this many people would represent a region not a base location. Completely new section added - Welcome to the Gastorical Interactive Historical Map. This map will display historical locations and site information related to the company and all its predecessor companies over time. Like always this is NOT complete and new locations/data will be added as information is discovered. New page & content posted - "Huntington Park Base" page installed in The Gas House section. Many thanks to friend of Gastorical Jim Peralta for helping us get this base page started with his Three-Peat Baseball Champions group shot from 1997. We have several others like this from "The Park" that will be posted soon but this one gets the party started. New discovery & content posted - Added new group shot to the Rose Ave Base page in The Gas House section. Thanks to friend of Gastorical and major contributor Don Parnell for sharing this photo. This image is very special for lots of obvious reasons but it also brings us a previously unknown logo for Southern Counties Gas. The new logo is the first one for Counties Gas and what was previously thought to be the very first is actually the second in line. New content posted - New edition of the Gas News added for download. This is the first in a series that will be posted from 1965. Shortly all editions from 1965 will be posted culminating in a complete collection for the year. This first edition is dated January 12th 1965. Updated content - "Garden Grove Base" Customer Services group shot from 1990 updated in The Gas House section. Thanks to friend of Gastorical Frank Studley for Cataloging names to match the faces so we could create a two stage image out of this. Now when you mouse over the faces in the image the persons name will appear. There are just a couple of "unknown soldiers" in this image so if you know a name that is not accounted for please let us know so we can update it. New content posted - Added 1989 Customer Services group shot to the La Jolla Base page in The Gas House section. New content posted - Added new image of a Counties uniform patch circa late 1960's to the Southern Counties Gas page in the Lest We Forget section. Thanks to long time supporter and major contributor Mary Jean Salcido for this beautiful patch along with many other items here on Gastorical. New content posted - "Garden Grove Base" page updated in The Gas House section. Thanks to friend of Gastorical Andy Thompson for bringing us this Customer Services group shot from 1990. New discovery & content posted - Added new image of a very "extremely" rare uniform patch circa late 1920's featuring the LAG&E logo to the Los Angeles Gas & Electric Corporation page in the Lest We Forget section. This patch is the first time we have seen the LAG&E logo as it was originally designed with its beautiful blue flag. Prior to this discovery the logo was thought to have been only in black & white. New page & content posted - "Riverside Base" page installed in The Gas House section. Many thanks to friend of Gastorical Hugh Cloyed for helping us get this base page started with his 1970 group shot. New content posted - Added new images to the Balanced Power page in The Gas House section. This Gas air conditioning note paper holder circa 1960's comes to us from Friend of Gastorical and major contributor Bob Zaricor. New content posted - Added two new images "more from James Ruiz & Ed Price" to the Marketing pages circa 1960's. These images along with one already posted make a set from the same Gas Air Conditioning champs (South West Division) 1963 to 1966 celebration event. Marketing Department in The Gas House section. New content posted - Added new booklet to the Southern California Gas Company page in the Lest We Forget section. This fun little book from our good friend and major contributor James Ruiz is geared toward orientation of new employees and is circa 1964. New content posted - Added new image showing an Unknown payment office from the 1940's to the Southern California Gas Company page in the Lest We Forget section. Notice the gas appliances in the window? We used to sell them as well. New content posted - Friend of Gastorical, Tom Ross, told us of a rare employee newsletter and pointed us toward one of the authors, Tino Martinez, who lent us this December 1992 edition "possibly the last" of the East Valley Echo written by the employees of the East Valley Division before it was split into Inland and other Regions. Division/Region publications like this will now be housed under the Gas News & Publications pages in the Region Publications section. Updated content - Thanks to the recent addition of a page for the "Downey Base" in The Gas House section we have updated it to include all the images from friend of Gastorical Bob Zaricor that were previously only in the gallery section of the site. Click on any of these 28 images for full size versions as always. New content posted - 20 new images from the renovation project that took place in 1955 at the Playa Del Rey facility have been added to this page in The Gas House section of the site. Once again we have friends of Gastorical Don Goldsberry and Eleanor Candler to thank for sharing these with the Gastorical community. Click on any of these images for full size versions as always. New content posted - Added a new animated image showing the original SCG head quarters building in 1929 and then as it looks currently in 2013 to the Southern California Gas Company page in the Lest We Forget section. Updated content - Our front page rotating image gallery "above" has been updated with many new and revised images. There are now over 70 highlight images in this automatic gallery including most of the old favorites from the original gallery. If you would like to view the high definition version of this gallery "and I recommend you do", hover your mouse over the image and click on the word Vimeo that appears at the lower right of the image. Or simply click here. Thanks to friend of Gastorical Phil Heinerfor the inspiration to get this long back-burnered idea done. Updated content - Added image of the 1940's era 3 dimensional wall plaque to the earlier style 1930's version to the Southern California Gas Company page in the Lest We Forget section. New page & content posted - "Downey Base" page installed in The Gas House section. Thanks to friend of Gastorical Bob Coie for this group shot circa 1990. More on the way so stay tuned. New content posted - This time it's a fun little booklet about handling escaping gas that is likely from the 1940's for the collection in our Safe Passage section. Thanks to friends of Gastorical Rex Reece & Julia Lockhart for bringing us this Distribution gem. New content posted - Added new image to the Pasadena Base in The Gas House section. This is the Customer Services group circa 1992 and comes to us via Friend of Gastorical Ramiro Carrasco. New content posted - "Credit Union" page updated in The Gas House section. Thanks once again to friends of Gastorical Lynn Bowers and Marge Harden. This time we have the 1955 Annual Report from the SOCO Credit Union. New page & content posted - "Credit Union" page installed in The Gas House section. Thanks to friends of Gastorical Lynn Bowers and Marge Harden for the material and information that got this section started. The real fun will start to arrive in the coming months when the rest of wonderful pictures and material begin to be posted along with the history behind it all. New page & content posted - The Playa Del Rey facility is the newest page in The Gas House section of the site. To start this off we have an information booklet from the collection of our good friend and major contributor Jim Ruiz. While undated, we can tell it is from not long after the facility was redesigned and updated in 1955. Next up are four drawings from the design phase of the renovation project that took place in 1955. We have friends of Gastorical Don Goldsberry and Eleanor Candler to thank for sharing these with the Gastorical community. New content posted - Added new Customer Services group shot from 1970 to 182nd Street Base in The Gas House section. Thanks to Friends of Gastorical Nick Leyba and Greg Aslanian for this image. New content posted - Added group shot from 1966 to the Beverly Hills Base page in the The Gas House section. This was a transition period for logos as you can see the 1950's era "Family Crest" logo on the coveralls but a few of the trucks have the "new" logo of the day. Thanks to Friends of Gastorical Nick Leyba and Greg Aslanian for this image. Updated page content - Added reprocessed 1972 base images to the La Jolla Base page in The Gas House section. New content posted - New LA Gas Monthly edition from August of 1923 posted. Every Distribution boy has to look at page 3! My dad used to call me an "Accupunch baby", he might have been right. Page 1 is interesting as it looks at an age old challenge that is still faced today around the company. Thanks again to SKG. New content posted - New Gas News Pictorial from September-October of 1947 posted. These are always fun reads and this edition "oldest posted to date" is no exception. Thanks to SKG for bringing this to our eyes. New content posted - Added Pacific Lighting Gas Supply lapel pin to the Pacific Lighting Corporation page in the Lest We Forget section. This gorgeous little pin comes to us from a very special friend of Gastorical and major contributor Nancy Day. New content posted - Added commemorative edition of Pacific Lighting's "Spectrum" publication to the Pacific Lighting Corporation page in the Lest We Forget section. Thanks to friend of Gastorical Tawney Moreno for this edition from 1988. New content posted - Added Pacific Lighting advertisement page from Time Magazine in 1931 to the Pacific Lighting Corporation page in the Lest We Forget section. This is an interesting little read from just a few years before one of Pacific Lighting's biggest historical events. There is no doubt that adds like this were in response to the battle that was being waged at the time with the city of Los Angeles regarding Los Angeles Gas & Electric Corporation. These were undoubtedly meant to inform the public and sway its opinion of our company that was being eroded in court by the cities underhanded attacks meant only to serve its own agenda. Section updated - Updated the Los Angeles Gas & Electric Corporation page in the Lest We Forget section to incorporate items from the old Blog pages. This will be done over time for all entries into the blogs 2 year existence in order to assimilate them into the current website structure. New content posted - Added image of the Aliso Street plant to the Los Angeles Lighting page in the Lest We Forget section. This photo is from the Pasadena Museum of History collection. New content posted - Added the commemorative history booklet "The Pipes of Prometheus" to the Pacific Lighting Corporation page in the Lest We Forget section. Thanks to friend of Gastorical and major contributor James Ruiz for this awesome history booklet circa 1961. New page installed - A very highly detailed, high resolution, and interactive map of Los Angeles from 1909 now rests in its own page on the main menu. Many historic Gas Company buildings are present and labeled on this very interesting map. New content posted - Added two new images to the Southern California Gas Company page in the Lest We Forget section. Thanks to friend of Gastorical Jim Serici for the old logo lighter image. New content posted - Added a new edition of Southern Counties Gas News for download. This edition is not perfect "water damage" but holds a wealth of information on the Orange County Division of The Southern Counties Gas Co. of the 1940's. Thanks "once again" to my friend AND major contributor Steve Rawski for this edition from November of 1944. New content posted - In honor of Tom Cassidy who some will know as the voice of The Gas Company Evening Concert series that ran from 1943 to 1987. Mr Cassidy passed on November 5th at the age of 95. On page 5 of this new edition of The Gas News Pictorial from June of 1961Mr. Cassidy is featured. 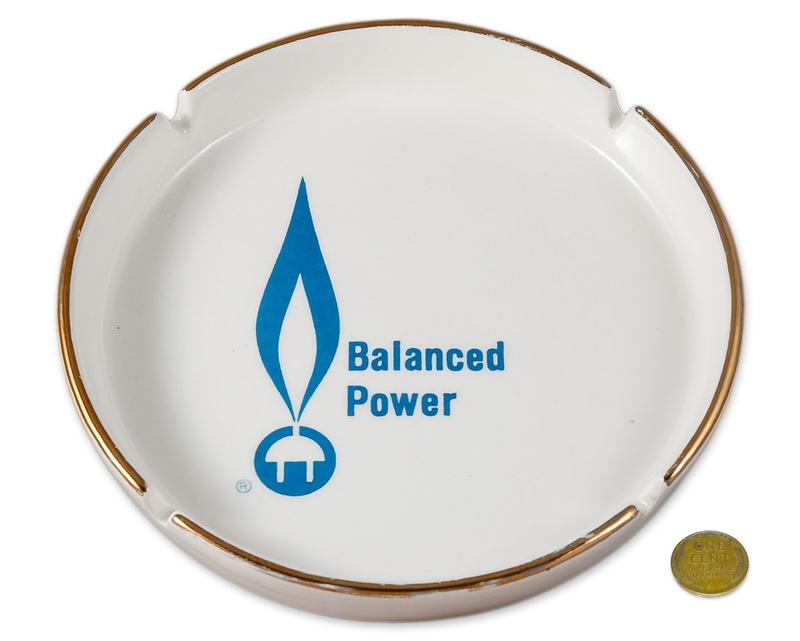 New content posted - Balanced Power pageupdated with the addition of a really large and beautiful ash traypromotional item from the 1960's. This one even says proudly "made in the USA" on the back of it. Yep this is another item from our marketing friend James Ruiz. New content posted - The "Marketing Department" page continues to grow in The Gas House section. Thanks to friend of Gastorical and major contributor James Ruiz as we add 6 more editions of his "The Sales Newsletter" from the mid 1960's. New content posted - Added a new edition of Gas News for download. This edition is from January 1942. New content posted - "Garden Grove Base" page updated in The Gas House section. Thanks to friend of Gastorical Bob Zaricor for the "Certificate of Occupancy" image from 1972. New content posted - Added new group shot circa 1965 to the San Pedro Base page in The Gas House section. This is a two stage image with names embedded. Also added an open house photo page that shows the 740 N/ Pacific Ave base in its early days of existence. Thanks to friend of Gastorical Jim Serici for these images and the information behind them. New content posted - Added 2 new group shots to the 36th Street Base page in The Gas House section. This matching set of group shots are of the Customer Services and Streets Departments and were shot on the same day in 1939. Thanks to friend of Gastorical Alma Bittner for these fine images. New page & content posted - "Mission Viejo Base" page installed in The Gas House section. Thanks to friend of Gastorical Alain Meyer for this group shot circa 1990 of a base previously unrepresented on the site. New page & content posted - "Adams Base" page installed in The Gas House section. Thanks to friend of Gastorical Corrine Arechiga for bringing us the 1948 group shot that will be the first on the page. We need your help with this one as it is a bit of a mystery. We don't know anything about the Adams Base "District" and had never heard of it prior to finding this image at the current Belvedere Base. Could this have been a predecessor to the Belvedere Base? Is it the same base that was renamed at some point in time? If you have any information on this base we would love to hear it. New content posted - New group shot circa 1989 posted to the "Juanita" page in The Gas House section. Thanks to friend of Gastorical Gai Lopez for sharing this image. Section redesign & new content posted - "Marketing Department" page updated in The Gas House section and now contains sections for "Gas Air Conditioning", Balanced Power", Promotional Items" and "Sales Newsletters". Thanks to friend of Gastorical and major contributor James Ruiz for sharing the material that makes these new sections possible. Many more items from the collection of Mr. Ruiz will help to fill these pages in the coming months so stay tuned. New content posted - Added new Distribution group shot circa 1990 to the La Jolla Base page in The Gas House section. Thanks to friend of Gastorical Alain Meyer for sharing this with the community. New link added - Web page added to the Interesting Historical Links section that shows the overall history of natural and manufactured gas from the very beginning. New content posted - Added new 1996 Baseball team image to 182nd Street Base in The Gas House section. Thanks to Friend of Gastorical Ted Johnson for this image. New content posted - Added a new Service Recognition dinner program circa 1964 to the Southern California Gas Company page in the Lest We Forget section. Thanks to friend of Gastorical Ed Price for the material. New content posted - This time it's a 1958 Counties Safe Practice Regulations handbook to add to the collection in our Safe Passage section. Thanks to friend of Gastorical Hank Stoltenberg for this item. New content posted - A very special Gas News Pictorial from December of 1957 posted. This edition features Southern California Gas Companies 90 year anniversary. This is yet another item from the collection of James Ruiz. New content posted - "Marketing Department" page updated in The Gas House section. Thanks to friend of Gastorical James Ruiz for sharing this edition of "The Sales Newsletter" from October 1967. New content posted - Added the three Balanced Power logos to our Historical Logo's page. Thanks go out to James Ruiz and Ed Pricefor the material & inspiration to get this done. Plans are in the works to tell the story of the Balanced Power initiative here on Gastorical so stay tuned. New content posted - Added very special new header to the "Belvedere Base" page in The Gas House section. This is a wall painting made by Manny Mesa in the early 1990's and is stll displayed in all its glory in Beveldere's ready room. Thanks to friend of Gastorical Corrine Arechiga for helping bring this to the Belvedere page. More to come from Belvedere soon. New content posted - Added two images to the "Safe Passage" section of the site. Thanks to friend of Gastorical Hank Stoltenberg for sharing these two safety awards from the Orange County Division in 1988. Many more of Hanks Gas Company treasures will be displayed here on Gastorical in the coming months so stay tuned. New content posted - Added a new Distribution department image from the So Cal Gas early days "likely early teens" to the Southern California Gas Company page in the Lest We Forget section. And is that my old friend Brent Arnold at the wheel of this American Locomotive Co. (ALCO) truck? Who can tell us more about this pipe truck & main job picture??? New content posted - Added a new edition of Gas News for download. This edition is from February 6th 1968. New content posted - "Marketing Department" page updated in The Gas House section. Thanks to friend of Gastorical James Ruiz for sharing images of a marketing event promoting the use of gas air conditioning. Quite a few things on tap for this new marketing department page as its shaping up to be very content rich. New content posted - Added a new edition of Southern Counties Gas News for download. Thanks "once again" to my friend AND major contributor Steve Rawski for this edition from November of 1944. New page & content posted - "Garden Grove Base" page installed in The Gas House section. Thanks to friend of Gastorical Dan Blackwell for the 1988 group shot that got this page started. This image is another one of the new two stage types where all the names are embedded in the file. Click the image to bring it up then roll your mouse cursor over faces in it. New content posted - Added a new edition of Gas News for download. This edition is from March 26th 1987. New page and content posted - "Marketing Department" page installed in The Gas House section. Thanks to friend of Gastorical Hackett Barney for sharing the images that got this departments page started. We have numerous other images from Hackett to post on this page shortly so stay tuned. Updated content - Thanks to friend of Gastorical Phil Heiner we now have ALL the employees identified in the 1992 Yukon Base Distribution group shotincluding Rod Paculba trying to hide behind Tony Luety. As we do whenever possible the names are embedded in the image so you will see them as you roll your mouse cursor over faces in it. New link added - Retronaut website added to the Interesting Historical Links section. Don't bother stopping by this rather different historical site unless you have some time to spend. Its one of the "not gas related" links but very addicting anyhow! New content posted - Added new image of a very early Counties vehicle complete with meters ready to install and a pipe vise on the back to our Southern Counties page in Lest We Forget. New content posted - Added new group shot to the La Jolla Base page in The Gas House section. Thanks to friend of Gastorical Doug Daniel for this one from 1989. La Jolla has an awful lot of content on their page now! New content posted - Added 2 new group shots to the Santa Monica Base page in The Gas House section. Thanks to friend of Gastorical and major contributor Don Parnell for sharing these photos. Completely new section added - Gastorical has a new baby and she is named "Safe Passage" The new section will feature items related to safety in our history and we kick it off with a wonderful edition of "Safety Highlights" from March of 1939! Thanks go out to friend of Gastorical Paul Wilson for sharing this item. We have a few other big items that will be arriving for the new section in the coming weeks so check back often or subscribe to our distribution list to get updates via email. New content posted - Added a new edition of Gas News for download. This edition is from July 10th 1979. New content posted - Added new group shot circa 1965 to the Branford Base page in The Gas House section. Thanks to friend of Gastorical John Harmon for sharing this photo. New page & content posted - "Yukon Base" page installed in The Gas House section. Thanks to friend of Gastorical Dave Alonzo for helping us get this base page started. This is the base I hired on at in 1988 so it's of personanal significce. New content posted - Added new images "early 1950's era hat with original union pins" to our Southern Counties page in Lest We Forget. Thanks once again to friend of Gastorical Glen Lunzmanfor letting us photograph and display his treasures here on gastorical. Updated content - "Triggs" page in The Gas House section updated with new information. New content posted - Added a new edition of Southern Counties Gas News for download. This edition is from January - February of 1948. New content posted - Added three new images from the early 1920s to the Southern California Gas Company page in the Lest We Forget section. Thanks to Gas Controland Sam Halstead for these WONDERFUL old images of our vehicles and employees. New content posted - Added a new edition of Southern Counties Gas News for download. Thanks to friend of Gastorical and major contributor Steve Rawski for this edition from September of 1944. We will be seeing many more of these very rare editions from the war era thanks to Steve so stay tuned. New content posted - Added 10 new editions of "Gas News" from 1936 in the Gas News section. This completes the entire years collection for 1936. Many thanks to SKG as always for his contributions to the site. Website update - We are VERY pleased to announce the complete redesign and update to our computer screen wallpaper section. Many of the logos are completely redrawn and accurately time period colorized as well. There is also a brand new selection process to pick just the wallpaper you want as the old section had just 10 choices for each screen type & the new section has a whopping 81 each! It is with great appreciation to the Gastorical Creative Team "in alphabetical order" Tony Cantarini, Joe Carton, & Mike Connors that we announce this new section. Their friendship and creative input has been ever present behind the scenes of Gastorical from the VERY BEGINNING. Please join Lloyd and myself in thanking them for their help and enjoy the new backgrounds. New content posted - Added 6 new images from June of 1961 to the Anaheim Base & HQ page in The Gas House section. Thanks again to friends of Gastorical Don Goldsberry and Eleanor Candler for sharing these. New content posted- Relighting the flame images and information posted to to our Southern Counties page in Lest We Forget. More images, information, and a short video "that we are in!" are soon to follow of this wonderful event that took place at Pico Rivera recently. Of course Gastorical was there getting the word out and preparing to fill you in on all the fun. New content posted - New "Sendout" posted in the Gas News section. This edition is from November 20th 1995. New gallery posted - Thanks to friend of Gastorical and major contributor Gene Robinson for the inspiration to get this gallery of the original Gas Company tower posted. It shows the beginning construction phase from before the original buildings were torn down and then numerous shots from after it was built. New content posted - Added 6 new images to the La Jolla Base page in The Gas House section. We have friends of Gastorical Don Goldsberry and Eleanor Candler to thank for sharing these "and many more" wonderful shots with us. Shortly we will begin see more of the photos they have shared with us. Trust me, they are a real treat! New page & content posted - "Engineering Analysis Center (EAC)" page installed in The Gas House section. Thanks to Steve Andersonfor sharing the images that got this locations page started on Gastorical. New content posted - Added new image "1923 Long Beach gas bill" to our Southern Counties page in Lest We Forget. Discovery & new content posted - Dates of existence found & updated for both Orange County Gasand Pomona Gas & Electric Light in the Southern Counties Gas area of the Lest We Forgetsection. Newspaper articles posted for both. New content posted - Added new image "Counties ID badge" to our Southern Counties page in Lest We Forget. Thanks to friend of Gastorical Glen Lunzmanfor this great find. New content posted - New image added to the "Belvedere Base" page in The Gas House section. Thanks to friend of Gastorical Corrine Arechiga for sharing. New content posted - Added a new edition of Southern Counties Gas News for download. Thanks to friend of Gastorical and major contributor Gene Robinson for this edition dated Aug 6th 1963. Website update - All content from the old "SDG&E Stuff" page have been relocated to the San Diego Gas & Electric page in the "Lest We Forget" section. New page & content posted - "Belvedere Base" page finally installed in The Gas House section. Thanks to all who have tried to help get this page on the map but most of all thanks to Dave Perez for bringing us these images and getting the job DONE! New content posted - Added "San Diego Gas & Electric 5 year service award pin" circa 1940's to the SDG&E page in the "Lest We Forget" section. New content posted - Added a new item "late 1950's era ID badge" to our Southern Counties page in Lest We Forget. Thanks to friend of Gastorical Robert Worthington for this very rare item. Website update - All content from the old "Counties Stuff" page have been relocated to the Southern Counties Gas page in the "Lest We Forget" section. New page & content posted - "Spence Street - Gas Control" page installed in The Gas House section. Thanks to friends of Gastorical Sam Halsteadand Phil Topinko for the images that got this location rolling. New content posted - Added 5 new images to the "Big Pipe" gallery in the "Past Gas" section. Thanks to friend of Gastorical Sheri Chessman for the images and information about them. Updated content - Downey Base gallery now completely rebuilt to include 16 new images and updated processing throughout. Thanks "once again" to major contributor Bob Zaricor for his help with this project. New page & content posted - "48th Street Base" page installed in The Gas House section. Website update - Due to much appreciated feedback we have redesigned "The Gas House" directory structure to be strictly alphabetical and done away with the region containers. This should simplify things a bit for everybody "me included". Discovery & new content posted - "Triggs" page installed in The Gas House section. New content posted - Added new image to Pasadena Base in The Gas House section. This entry is from 1949 and contains an embedded key to the people in the photo. Click on the image for a larger view then run your cursor over faces to show individual names. New page & content posted - "Juanita" page installed in The Gas House section. Updated Content - The Southern Counties Gas logo from the 1970's in the Logo page is now completely redrawn and colorized for accuracy of the time period. Updated Content - The Southern California Gas logo from 1953 in the Logo page is now completely redrawn and colorized for accuracy of the time period. Thanks to Bob Zaricor and Brent Feathers for their inspiration on getting this done. New content posted - Added new image to Pasadena Base in The Gas House section. New content posted - Added new image to Alhambra Base in The Gas House section. New content posted - New item added to LAG&E page in Lest We Forget. Looking forward - Now in the planning stages is a new section about safety in our history named "Safe Passage". Do you have safety related items to share? Now is the time! New content posted - Added images to Pasadena Consolidated & Inglewood Gas in Lest We Forget. New page & content posted - "Beverly Hills Base" page installed in The Gas House section. General information - The Gastorical Blog Archive can always be found at the top of the menus to the right of every page under the red (START HERE!) banner.